UB40's fortunes changed at the beginning of 1980. They had spent many years performing live and developing a name for themselves when they were asked to join 'The Pretenders' as their support act on a national tour. The first single with Graduate, their initial label, was a double-A coupling of "Food For Thought" about third-world poverty, and "King", an expression of grief for Dr. Martin Luther King. "King" had seemed to be the favourite with live audiences, but it was "Food For Thought", that got the airplay and became the first hit. The single was released during the tour, without the benefit of major-label marketing or promotion, and headed straight for the top five. The band made a huge impact on their first major live audiences. UB40's first album was released in September 1980. The album cover was a reproduction of the unemployment benefit card, with the title "Signing Off" rubber-stamped in red. It referred to "signing off" the dole, i.e. getting a job. It was both an acknowledgement of the launch of the band, and a celebration of their new status. Because they were from the West Midlands, and because they were a large multi cultural group playing music of Jamaican origin, UB40 were initially thought to be part of the Two-Tone phenomenon which had burst out of nearby Coventry. Two tone music took its roots from Caribbean Ska, Rock Steady and Reggae. It was honed into the multi-racial sound of 2-Tone by bands such as The Specials and The Selecter - both of which came from Coventry. "Signing Off" made it clear that UB40 were not part of the Two Tone movement. They were part of the same social and political tendency, but their musical approach was quite different. Their sound was more relaxed, more sophisticated and sexier. 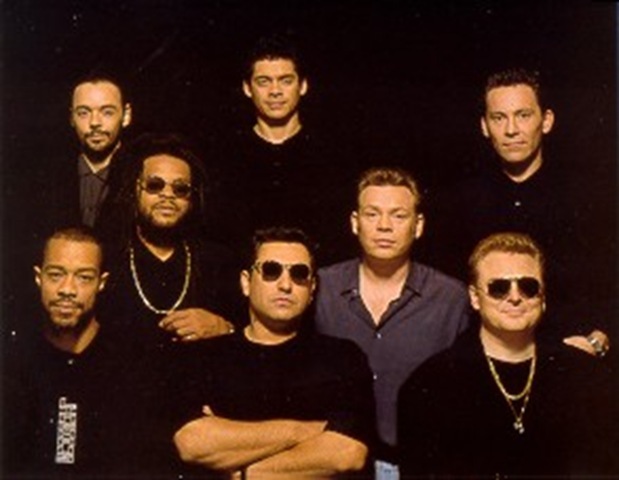 Only nine months after their first album "Signing Off", while it was still in the chart, UB40 released their second album "Present Arms" featuring the song "One In Ten", an anthem to rival "Food For Thought".Four months later, in October 1981, UB40 released a dub version of the album "Present Arms". The album wasn't expected to match the extraordinary popularity of the first two albums, but it did resoundingly well for a dub album and went some way to establishing the band's credentials as serious students of reggae. That commitment to innovation was further demonstrated by 1982's album, UB44 complete with it's historic hologram sleeve which was a limited edition, only released in the UK. One year later, in September 1983, UB40 released the album 'Labour of Love.' It was their first direct tribute to the musicians who had inspired and influenced them, and the title "Labour Of Love" said it all. 'Red Red Wine' was the first single to be released from Labour of Love, it went straight to number one in the UK charts upon it's release. The phenomenally popular single was in the British charts for two years. It gave UB40 their first truly worldwide hit and, eventually, their first American No.1. "The Best Of UB40 - Volume One", released in November '87, stayed in the UK charts for 123 weeks. "Baggariddim", their adventurous 1985 collaboration with local DJ's also contained "Don't Break My Heart" and "I Got You Babe" (with Chrissie Hynde), both memorable hit singles. Chrissie Hynde joined the band again for "Breakfast In Bed", the hit of the 1988 album simply called "UB40". 1989 saw the release of a second helping of "Labour Of Love", from which "Kingston Town" and "Homely Girl" were hits throughout Europe, while "Here I Am" and "The Way You Do The Things You Do" were similarly successful in the United States. Success continues throughout the Nineties with the release of "Promises and Lies" which becomes the group's biggest selling album worldwide, selling in excess of 9 million copies worldwide, and produces the hit single "Can' Help Falling In Love", giving the band their third UK No. 1. "Guns In the Ghetto", released in 1997, includes the single 'Tell Me Is It True', which is featured in the film "Speed II". The UB40's reaffirm their commitment to reggae with "UB40 Present The Dancehall Album", a collaboration with leading Jamaican dancehall artists, including Beenie Man and Lady Saw. The third volume of "Labour Of Love" is released in 1998. The band release a new studio album "Cover Up" in 2001 and mark the 21st anniversary of their debut album "Signing Off" with a British tour and a celebratory birthday concert at the NEC in Birmingham in aid of the United Nations AIDS Awareness Campaign. "The Fathers Album", a project that took three years in the making, sees the band working with a string of legendary reggae artists such as Toots Hibbert, Gregory Isaacs and John Holt, is released in 2002. 2003 - UB40 receive an Ivor Novello Award for International Achievement and secure a Top Ten album with the "Platinum Collection", a triple box set comprising the whole "Labour of Love" series. Their 22nd album, "Homegrown", includes "Swing Low", the official anthem for the England rugby team's triumphant 2003 World Cup campaign in Australia. The song becomes the group's 49th UK chart single. The only bands to have notched up more hits are The Shadows, Status Quo and Queen. Two years later, on the 25th anniversary of their recording debut, the album "Who You Fighting For" is released. Like all memorable UB40 albums," Who You Fighting For" strikes the perfect balance between the personal and the universal. It features great love songs such as "Gotta Tell Someone" and the romantic ballad "One Woman Man". 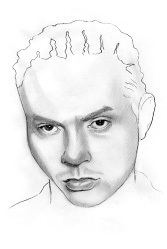 And, with the current political situation in various regions throughout the world providing a new source of inspiration, the title track and the hard-hitting "Plenty More" bring a renewed sense of purpose to UB40's political writing. Both songs are passionate and persuasive without resorting to hectoring. However political the subject matter, the listener never feels that he or she is being lectured to by a UB40 song. In April 2005 UB40 unite with Roger Daltrey, Eric Clapton and John Mayer to play their first ever show at the Royal Albert Hall in aid of the Teenage Cancer Trust. The band are then invited to perform at the Live8 event in London's Hyde Park, alongside U2, Pink Floyd, Coldplay, Madonna, Robbie Williams and The Who. A successful sell-out arena tour in the UK, Ireland and Europe completes the year. The band announce they will be working with the Birmingham Repertory Theatre to stage a new musical 'Promises and Lies'. The musical will open on the 20th March and run until the 15th April.